It’s great to see so many visitors coming to Manly, its like watching a flock of sheep. As soon as they’re off the ferry, all you see is a massive herd moving down the Corso and ending up on one spot of the beach at Steyne. Fair enough, I too love being by the sea, watching the surfers and listening to the waves. But there’s no need to panic. Manly is quite a chilled out place, so for your own sanity leave the pack behind, take it in your stride and see a little bit more of what Manly’s all about first. Go for a bit of a kayak around the coves of Manly. The water tends to be flat, so no excuses, and you’ll whizz around in no time. Its such a nice way to explore and it gets your heart pumping. Giving you guilt-free sunbathing time later on. Just don’t forget the sunscreen. 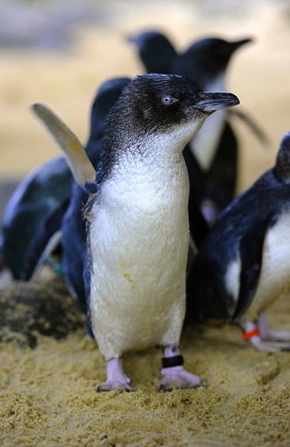 Or, if you like the idea of getting some air into your lungs but don’t quite fancy getting too wet, walk along the harbour path and follow the ‘penguin trail’. You won’t come across any actual penguins but you’ll certainly find little beaches as well as an outdoor pool. Ideal, if you then decide to cool off. There’s also the option of getting up close to the locals who live underwater at the Sea Life Sanctuary. Plenty of stunning sharks, stingrays, turtles and fish, but none anywhere near as cute as the fairy penguins, now residing in the penthouse suite upstairs. Rescued to help them breed in safety. Just don’t be tempted to take one home. For an injection of history and an appreciation of art, there’s also an Art Gallery and Museum. Exhibitions change all the time, but there’s always talented artists from the Northern Beaches on show. Sea air definitely makes you creative. 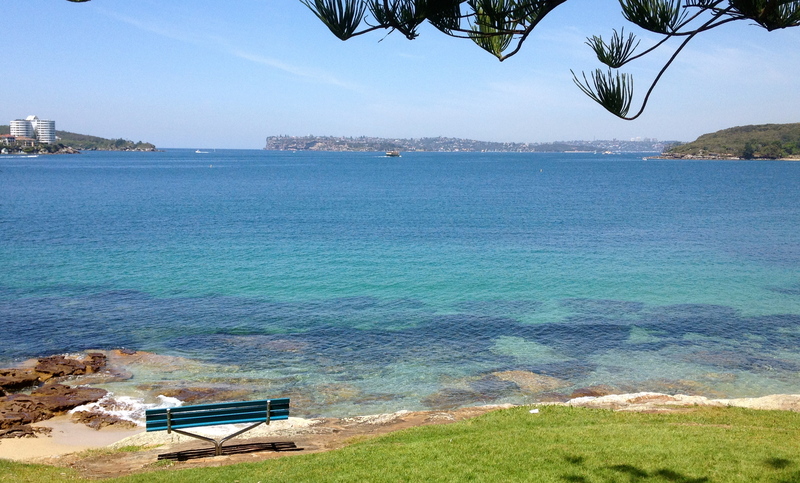 Grab a seat in the sun, or under the shade, at the Manly Cove Café. 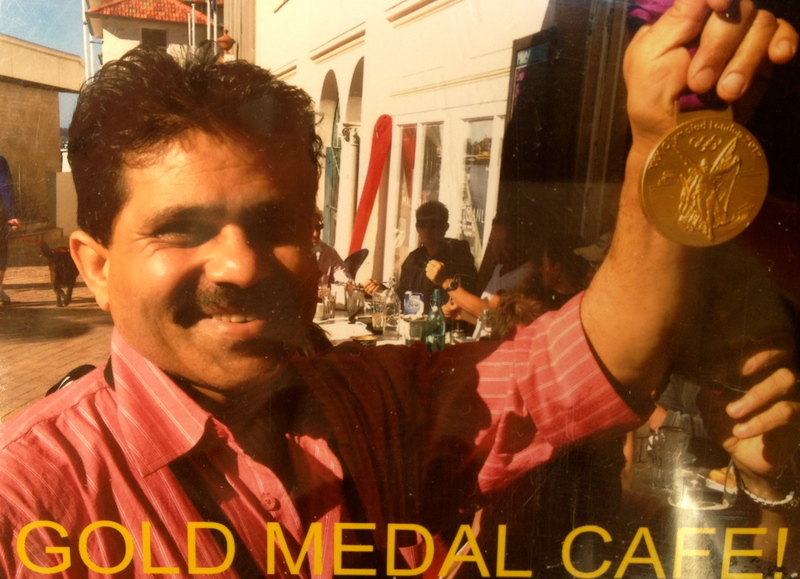 Have a chat to the owner Manesh about the nice big gold olympic medal he’s sporting in the photo… or olympian Murray Stewart if he’s around (congrats Murray by the way)… and order yourself a Di Stefano coffee. You’ve done well so top it off with a big fat home-made pancake, doused with maple syrup and lots of berries. And relax. Now you’re set to head to the main beach for all the wave and surf action, knowing that at least by heading left off the ferry, you’ve been able to see a little bit more of Manly than most. 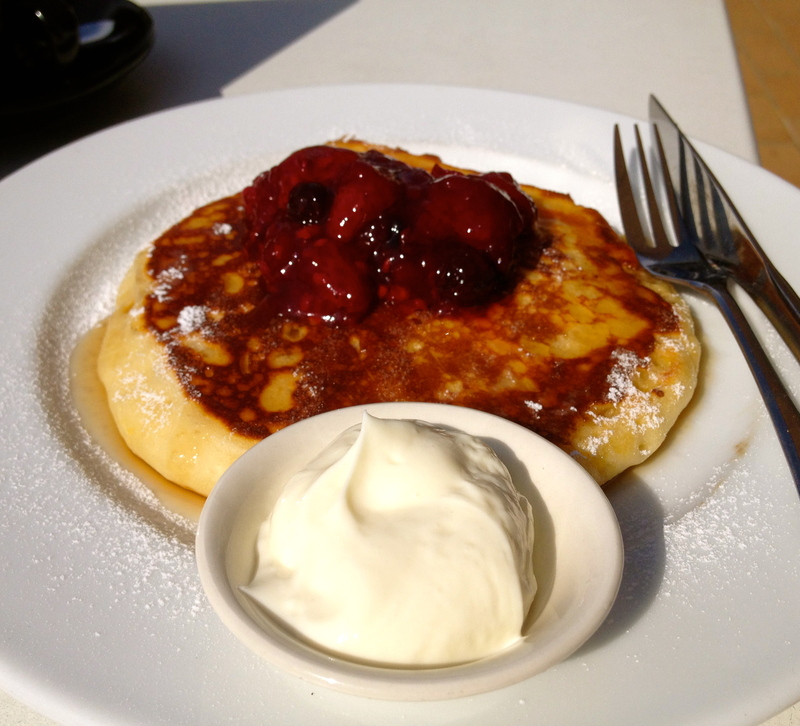 And enjoyed some pretty fine pancakes too. So enjoy the rest of your time in Manly! and keep an eye out for the mass exodus when the sun is heading low. At least you’ll know there’ll be a ferry pretty soon! ← Should Starbucks be let off tax free? Love it. Very true. I love those pancakes. News to me about the gold medal.